A few weeks ago, I reported here at Akit's Complaint Department about the Powell Street parklets going from Ellis to Geary. There was some very dangerous hazards that needed to be fixed, including two major trip hazards. Even KRON 4's Stanley Roberts joined in the fun by reporting about people throwing their cigarette butts in the planters. I'd thought I come back to the scene of the crime and take a look around... here's what happened. This is some great news to report. The big trip hazards at the end of each block (such as the one at the northeast corner of Ellis and Powell) has been fixed with a thin sheet of metal so it wouldn't be a trip hazards and makes it accessible for those with disabilities. 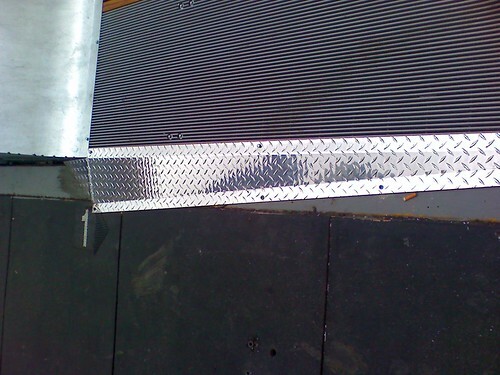 Unfortunately, the city hasn't taken action on the other dangerous trip hazards, such as the bottom of the solar panels. 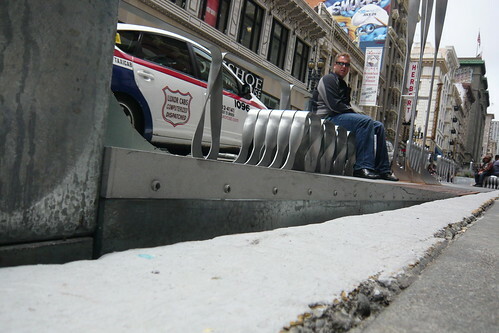 To make sure the parklets are safe from cars and cable cars, the parklets have metal barricades to separate them. 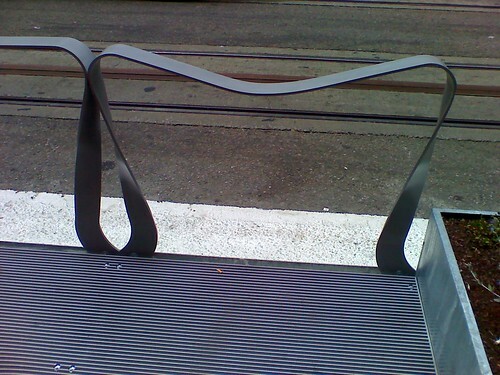 After just a few weeks, there are a handful of the barricades that have a new curve in them because people sat on them. These are not hard steel barriers (like the police barricades), they are light in weight and was never meant to be sat upon. While these new parklets are nice looking and have eased foot traffic on Powell, it needs some serious work. Poor planning equals big problems, just like the new bent barriers that should have been with harder metal. Also, tourists should respect the parklets by not dumping their cigarette butts in them. In only a matter of weeks, there's noticeable damage to the parklets. How long until it gets worse, and when will the city attempt to make improvements? I appreciate fixing the trip hazard, but there's plenty more work to be done. Actually, most parklets aren't city-owned/managed. They are paid for and maintained by the store/restaurant which they sit in front of. So it's the responsibility of that Powell St business. I don't think the Powell parklets are owned by the tenants. Audi dropped nearly a million dollars on the Powell parklets which are situated well if you want to get noticed, but aren't being utilized very much (except by smokers as has been noticed & a lot of people stood on them to watch the police protesters were getting arrested). If people want open space, they can go to Union Square which doesn't have tons of cars going by.